Florence E. Tosches, a resident of Stamford, passed away on Sunday, Aug. 5 at Stamford Hospital. She was 85. 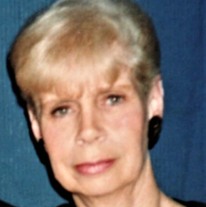 Florence Tosches, 85, passed away on Sunday, Aug. 5. Her wake will be on Wednesday, and her funeral on Thursday. Florence was born Oct. 12, 1932 in Darien to the late Thomas and Georgiana (Strattinger) Moore. She worked for Darien Police Department for 30 years as a police matron and traffic agent where she was a well-known and very loved school crossing guard. She also was a nurses aide at St. Joseph’s Hospital for many years. Florence is survived by her two sons: Kevin (Alison) Tosches and Daniel (Dawn) Tosches; and her brothers: Frances Moore and Coleman Moore. In addition to her parents, Florence was preceded in death by her husband, Louis Tosches. She also was preceded in death by her siblings Ella Mae Totilo, Thomas Moore, John Moore, and Anne Thibdeau. Family and friends may offer their condolences from 4 to 8 p.m., Wednesday, Aug. 8 at the Bosak Funeral Home, 453 Shippan Ave., Stamford. A Mass of Christian burial will take place at 10:30 a.m., Thursday, Aug. 9 at Sacred Heart Church, 37 Schuyler Ave., Stamford. Her interment will immediately follow the funeral service at Queen of Peace Cemetery, 124 Rock Rimmon Road, Stamford. In lieu of flowers, donations may be made in Florence’s name to: Dementia Society of America or St. Jude Children’s Research Hospital. Condolence messages for the family may be left on the funeral home website.